It’s little secret that the Ford Fiesta ST has dominated the supermini hot hatch class for the last few years. However, the next one won’t be available until next year, so what about alternatives? 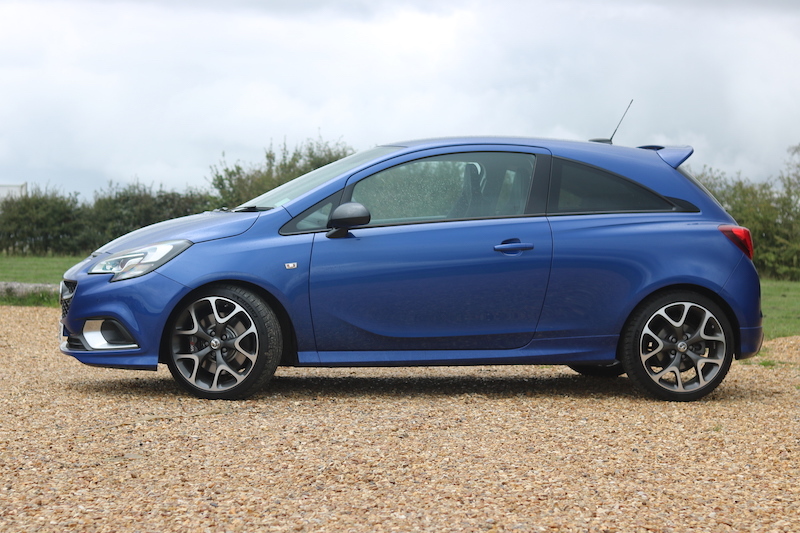 Well, I recently drove the new Vauxhall Corsa VXR to see what’s what. One of the key things about a hot hatch is of course power, and in that regard, the Corsa gets off to a good start. From its 1.6 litre turbocharged petrol engine you’ll be able to enjoy 202bhp with 280Nm of torque. This makes it faster than the outgoing Fiesta ST, but it’s a little behind the Clio RS, which is able to offer up to 217bhp and the 208 GTI which is able to offer 205bhp. 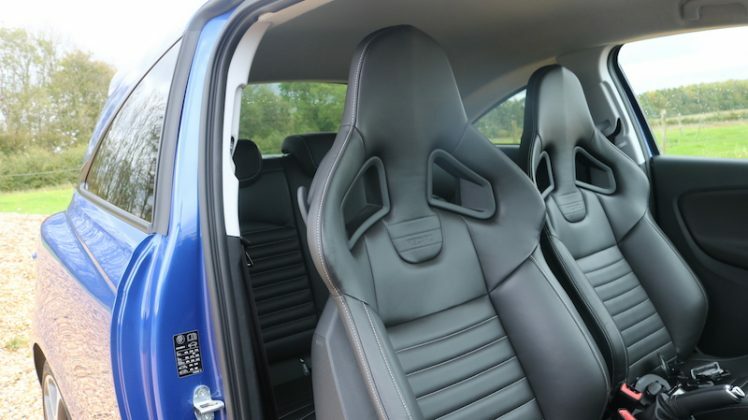 The VXR does however beat the Clio RS on torque (270Nm), as well as the 240Nm offered in the Fiesta ST.
Mated to a 6-speed manual gearbox – no auto option – the VXR will race to 62mph in 6.5 seconds and will continue until it hits its 143mph limit. Not too shabby. 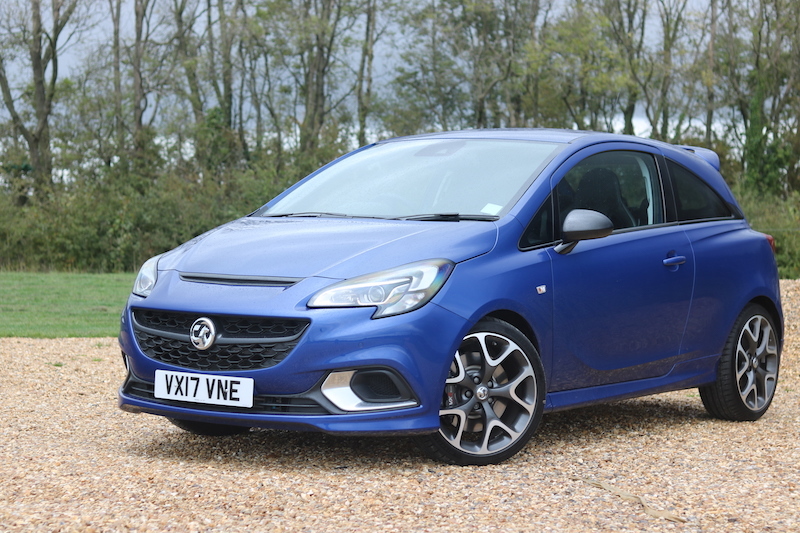 The performance figures mean on paper at least, it’s a dead heat with the 208 GTI, and although the VXR is faster to 62mpg than the Clio RS – even in Trophy form – its top speed is 3mph slower, but who’s really going to miss that difference? 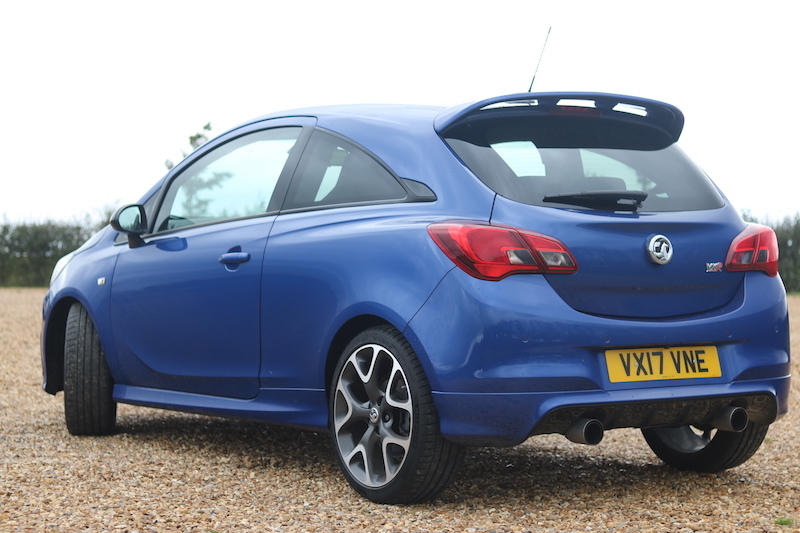 Looks are always going to be subjective, and although the Corsa VXR looks the part, I’m not sure on the styling. 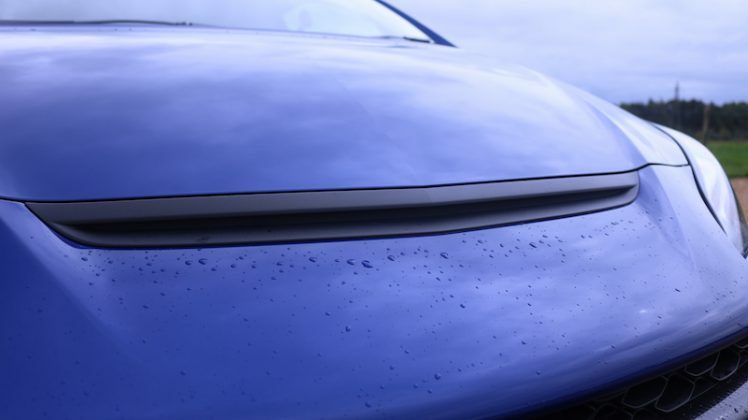 The Flash Blue paintwork is a nice finish, but it’s contrasted by carbon fibre details on the front grill and the wing mirrors. 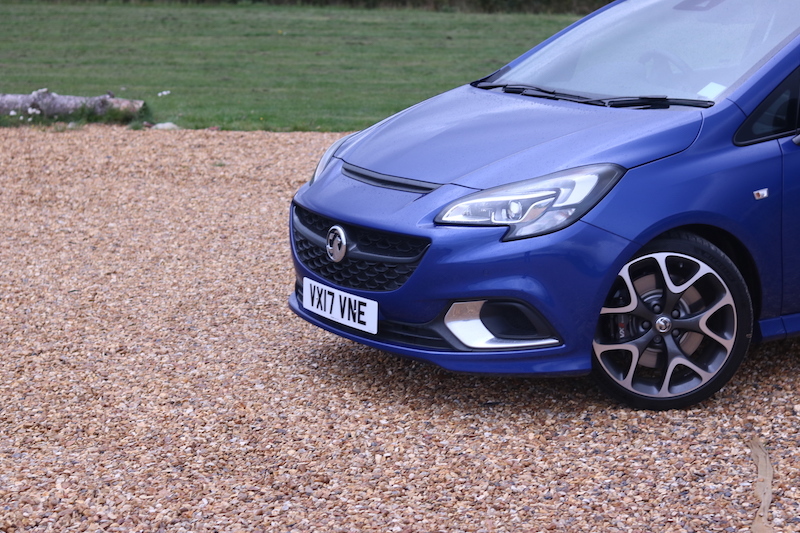 I don’t mind carbon fibre on a hot hatch too much, but on the Corsa, it looks a bit ‘Halfords’ – sorry Vauxhall. 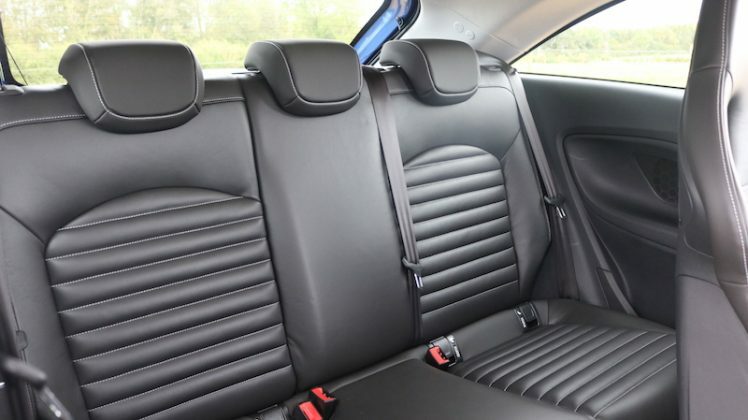 Thankfully, they are an optional extra, which will cost you £160. The rest of the exterior affair is typical hot hatch – big alloys wrapped in low profile tyres, bulging bodykit, chunky spoiler and twin Remus pipes at the rear. 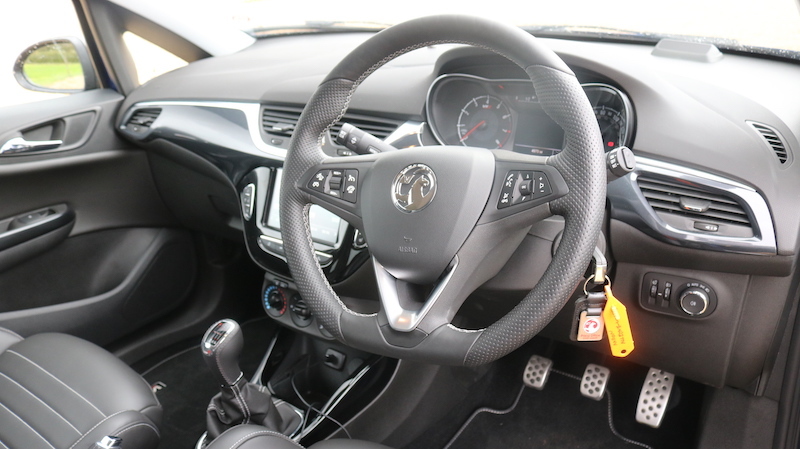 The inside is toned down by comparison, and if it wasn’t for the slim Recaro seats the sporty steering wheel, you could be fooled in to thinking that this is a humdrum Corsa. This is a pity, as to me, the inside feels less sporty than the SRi VX-Line I drove earlier that day. 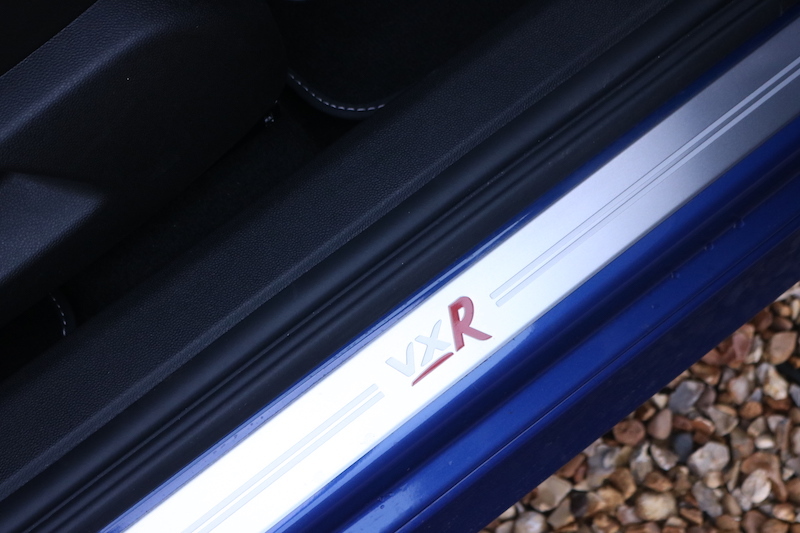 Where that had splashes of red all over the cabin, the VXR replaces that with a more reserved silver. The red stitching is also gone, and is replaced with white. I'm sorry, but those dials are just plain cheap and dated. 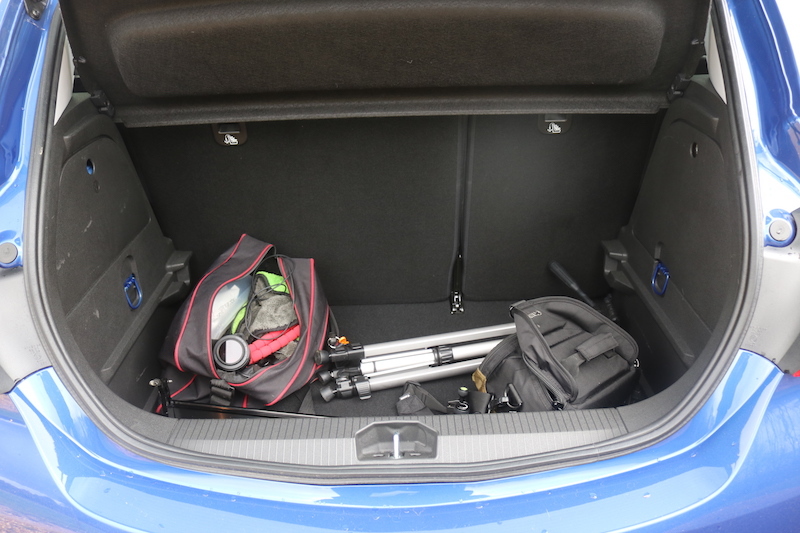 The boot should have enough space for most buyers though, 285 litres in on offer here. 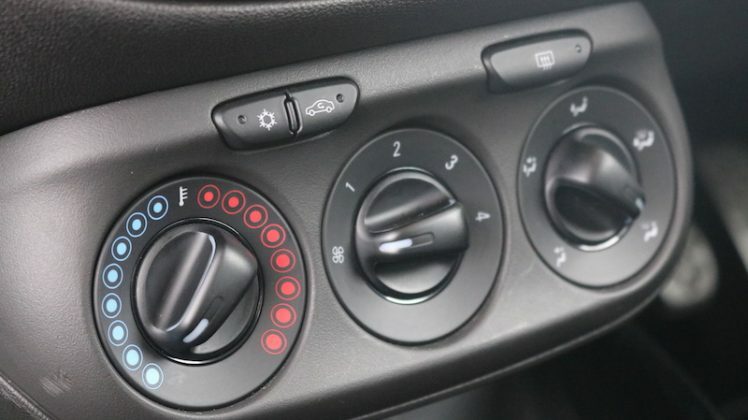 Other than that small complaint, the inside is not a bad place to be, although the dials for the air conditioning feel very cheap and dated. If you’re looking for a supermini hot hatch with a nice interior though, I’d recommend the 208 GTI, although it is one of the most expensive in its class. 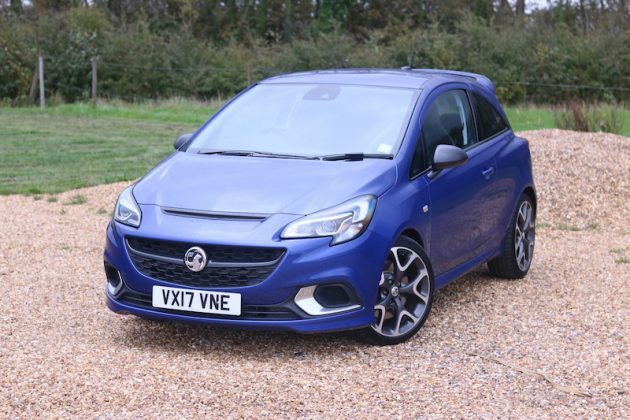 Speaking of price, how much is the VXR? 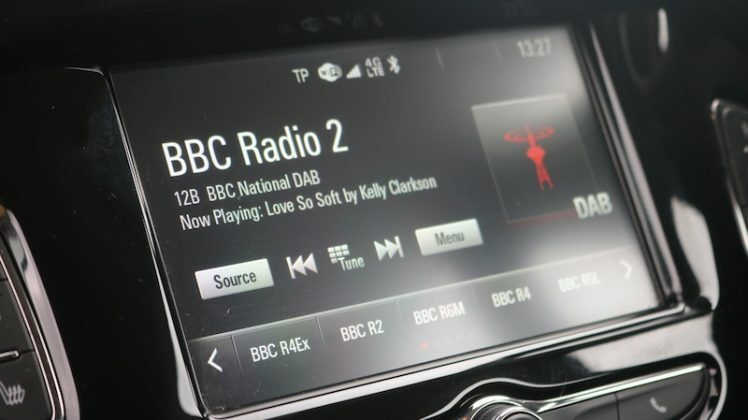 It’s priced from £19,245 and offers features such as Recaro sports seats, a lower, 10mm ride height, double remus exhaust, air conditioning, 7″ infotainment system with DAB radio and smartphone connectivity, and cruise control. The model tested had a few options though, meaning it was over £24,000 – a fair chunk of cash for the car if you ask me. 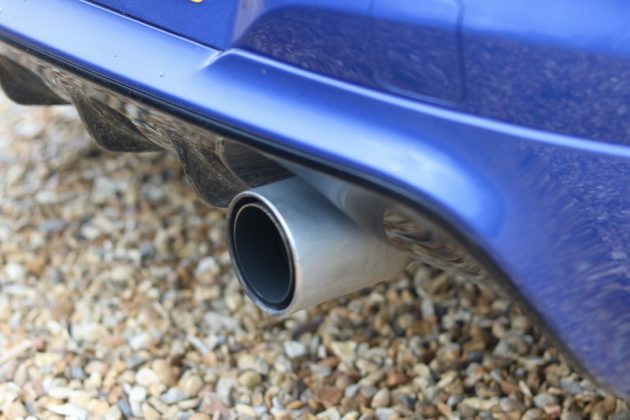 Start the engine up and you greeted by a bellow from the double Remus exhaust pipes. It’s not overly loud, which is good if you want to keep if you want to keep your neighbours happy, but it’s enough to signify you’re driving something powerful. It’s the experience I missed when I fired up the 308 GTI recently. 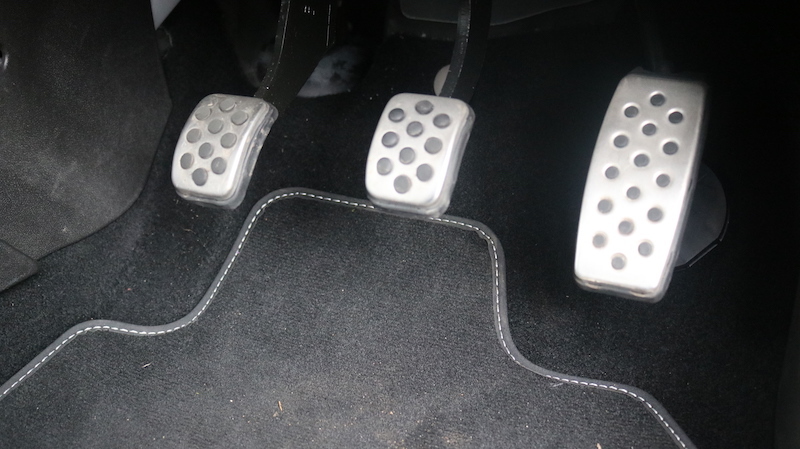 Making my way out on the road I enjoy the weight of the pedals as a I shift through the 6-speed to exploit the car’s power. Speaking of which, the gear change is far from awful, but it’s notchy and it’s not as good as some of its rivals, which is a pity. The throw in a hot hatch is an important element, and I’m afraid the VXR falls a bit flat in that regard. The power is good though, very good in fact. Mash your foot on the throttle and it will pick up pace quicker than you have expected, making this the car’s real highlight. 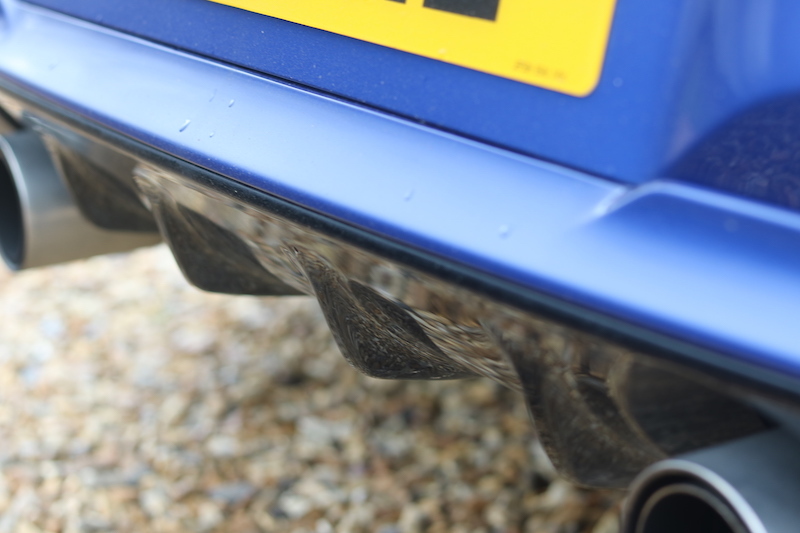 The delivery feels rushed, frantic even, meaning that the VXR feels a rather lairy. Speaking of lairy, you will definitely come across some torque steer despite the inclusion of the limited slip diff that comes are part of the Performance Pack – I’ll get on to that shortly. 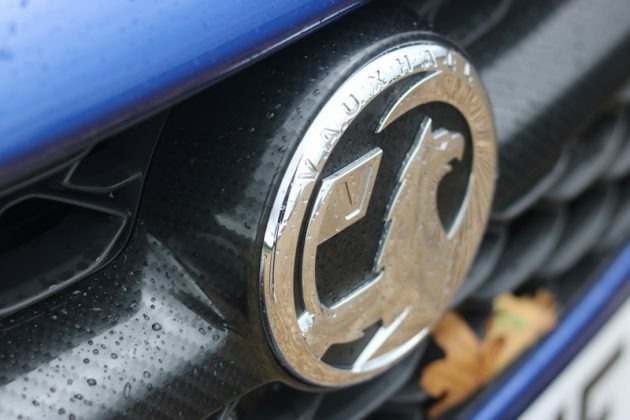 I found that the VXR struggled to put its power down cleanly and at times it felt a bit clumsy. Granted, some of the roads on the day of testing were damp, but some of the surfaces were also dry. So, what’s this Performance Pack? This is a £2,400 factory option, which doesn’t offer more power, but make the car more sharper. 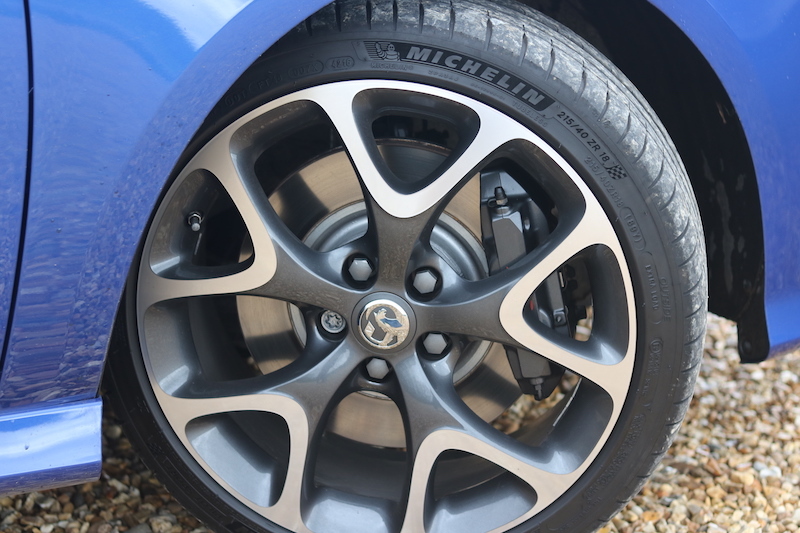 What you’ll get as part of the PP is a Drexler limited slip diff, 18″ alloys wrapped in Michelin, larger front brakes supplied courtesy of Brembo and Koni dampers for a more focused – I.E. hard – ride. I’ll be upfront; I’ve not driven the standard VXR, so I’m afraid I cannot make a direct comparison. On a race track, maybe. 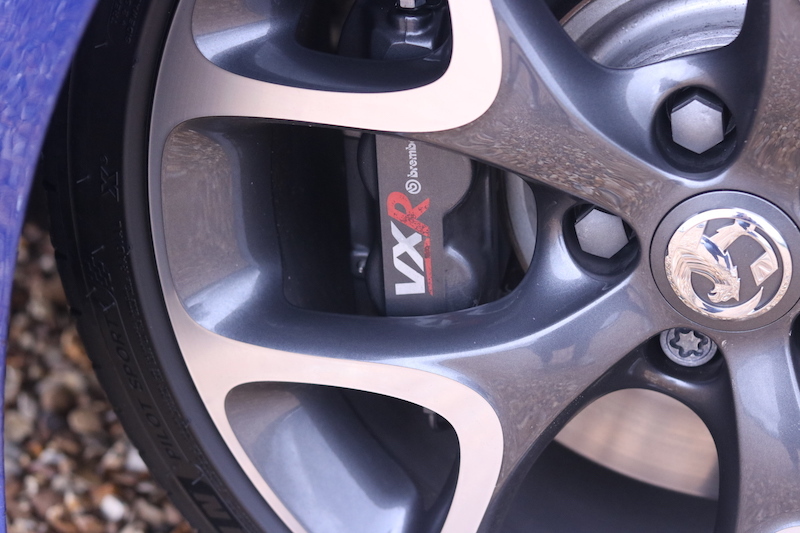 On the public roads where there are imperfections and potholes, you’ll probably find the VXR a bit too much. That’s not to say it’s no fun, because it is, but it’s quite a frantic driving experience. 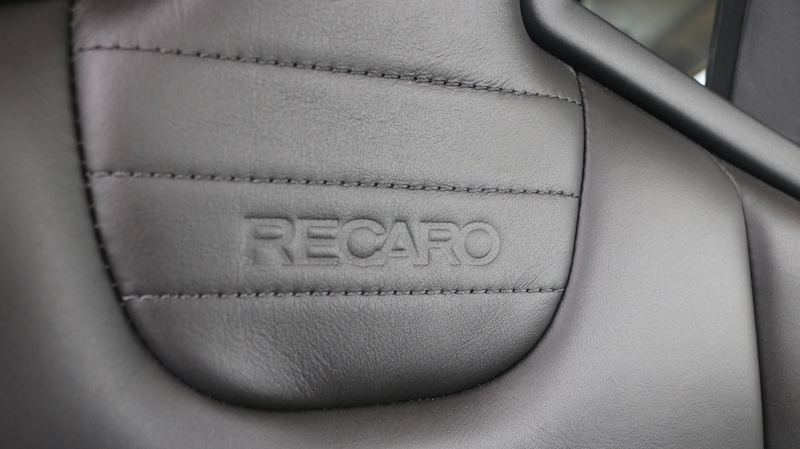 The Koni dampers make the ride hard and the car will crash in to bumps, so it’s just as well the sculpted Recaro seats keep you place. The car handling is not bad though, but is it any better than the Fiesta ST? No, I’m afraid not, so I feel like the Performance Pack is only worth opting for if you plan to do lots of track usage. 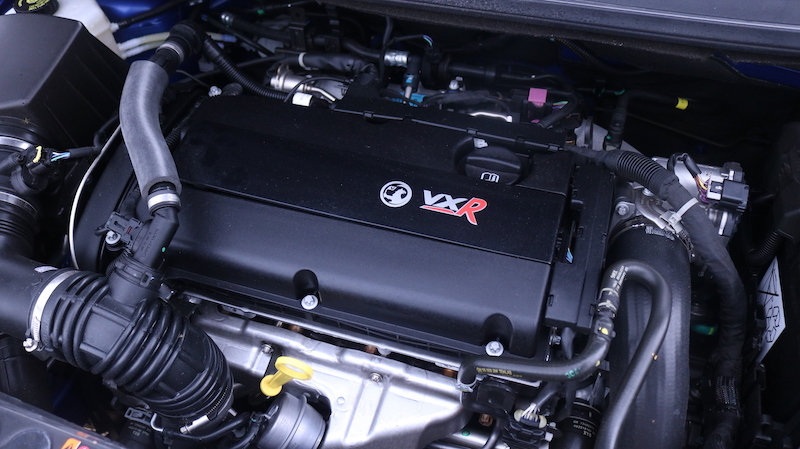 In the real world though, I imagine the standard VXR will do you just fine, especially when you consider you’re still getting the same amount power. 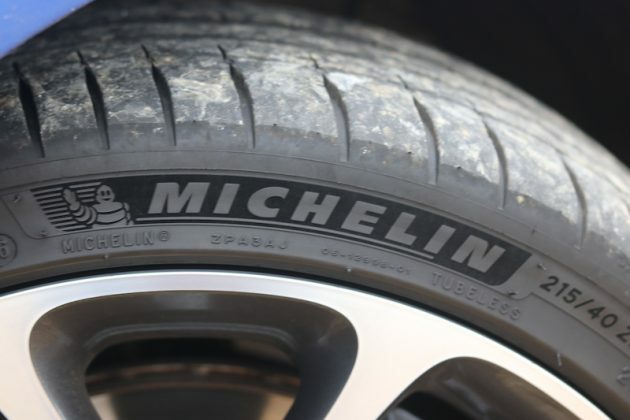 Ok, so you may miss the extra grip offered by the LSD, but the ride should be better thanks to smaller alloys and a more forgiving suspension system. Plus, you’ll save yourself 2,400 of the Queen’s shiny currency, which is not be sniffed at. Too lairy for its own good? The Fiesta ST is a hoot because it has one of the sweetest drives going from a hot hatch, and although the setup is firm, it’s still usable day to day. The VXR though, always feels up for a fight, it feels like a pumped up football hooligan. You get a sense that if it could talk, its first would be “ya want some?”. I’ve got no problem with a lairy hot hatch, in fact I’m a big fan of both the Focus RS and the Civic Type R.
But they have got the driving finesse to back up the yobbish styling, whereas the VXR just feels a bit… heavy handed. I’ve not driven a standard VXR – without the Performance Pack – but hopefully that’d be easier to live with on a daily basis. Sure, you may miss the LSD, but on the plus side, the car should feel less frantic. But with the Performance Pack you get a sense that the Vauxhall engineers felt that the best approach would be to dial everything up to 11. It’s like pouring a load of sauce on to a meal in the hope it will taste better if you ask me. 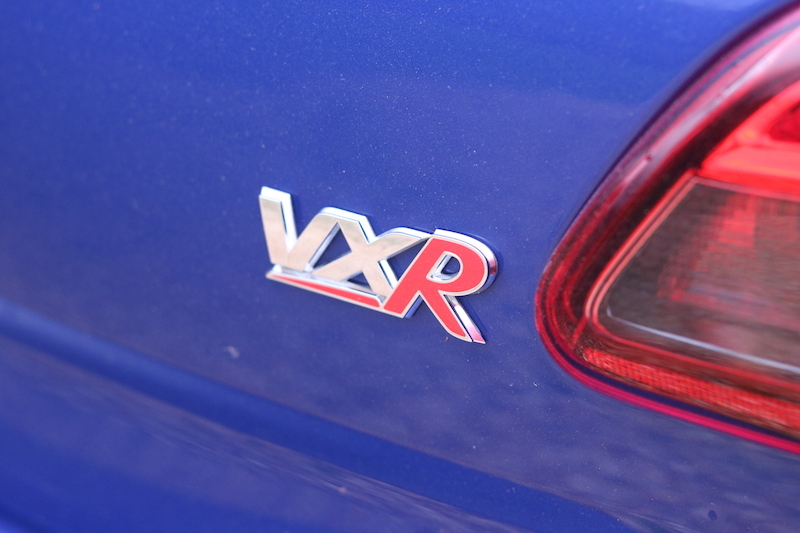 I was looking forward to the VXR after my drive in the SRi VX-Line, but it didn’t quite live up to expectation. There are aspects of the car I like of course, such as the grumble from the exhaust, the way in which it picks up pace, and the supportive Recaro seats. However, in the areas that matter for a hot hatch, the VXR is lacking that cutting edge. With the Performance Pack added, the car’s driving characteristics just feel a bit too… ‘shock and awe’. Some buyers may like this, but if you’re looking at buying a VXR I’d urge to try it in standard guise as well as Performance Pack so you can make the most informed decision. If it were me though, I’d hang on for a bit and see what the new Fiesta ST has to offer.